In the busy world we live in Coffee Pound enables you to quickly ‘Grab’ your pre-packaged products and rapidly ‘Go’ to your next destination. No waiting! No fuss! If you’re not happy with your coffee, we will change it, no questions asked. 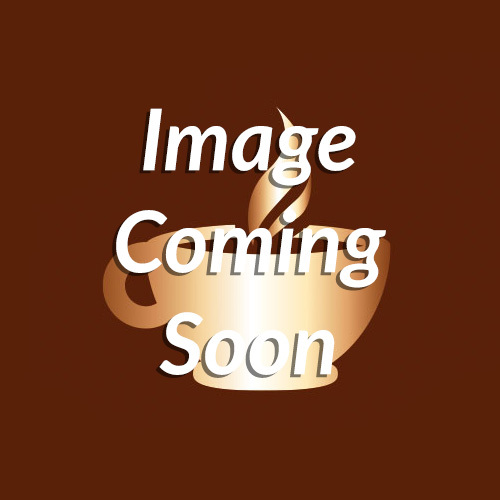 Best of all, Coffee Pound products are all at an affordable fixed price. Coffee Pound is a new and independent concept that began from the idea of a young individual from North West London who always strived to open his own business. His drive stemmed from his love for good quality food, whilst on the move, and his requirement for well-flavored coffee throughout the day. 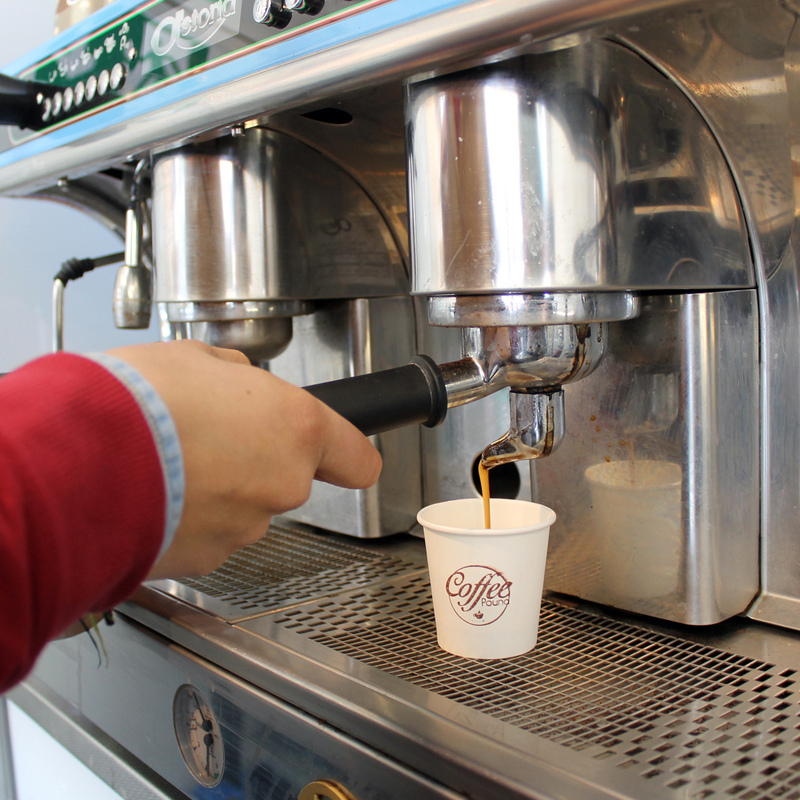 His dream became a reality when he established Coffee Pound in 2015 with the opening of his first business in Golders Green, allowing customers to literally ‘Grab ‘n’ Go’. The concept is focused on serving great tasting coffee, as well as delicious healthy meals & snacks in a quick and professional manner. But most importantly, where freshly prepared food and coffee is available without compromising quality or breaking the bank. Adopting a ‘Pick’ & ‘Mix’ attitude is the best way to enjoy the products at Coffee Pound. Choose a minimum of 3 different items to fully take advantage of the variety of flavors on offer. 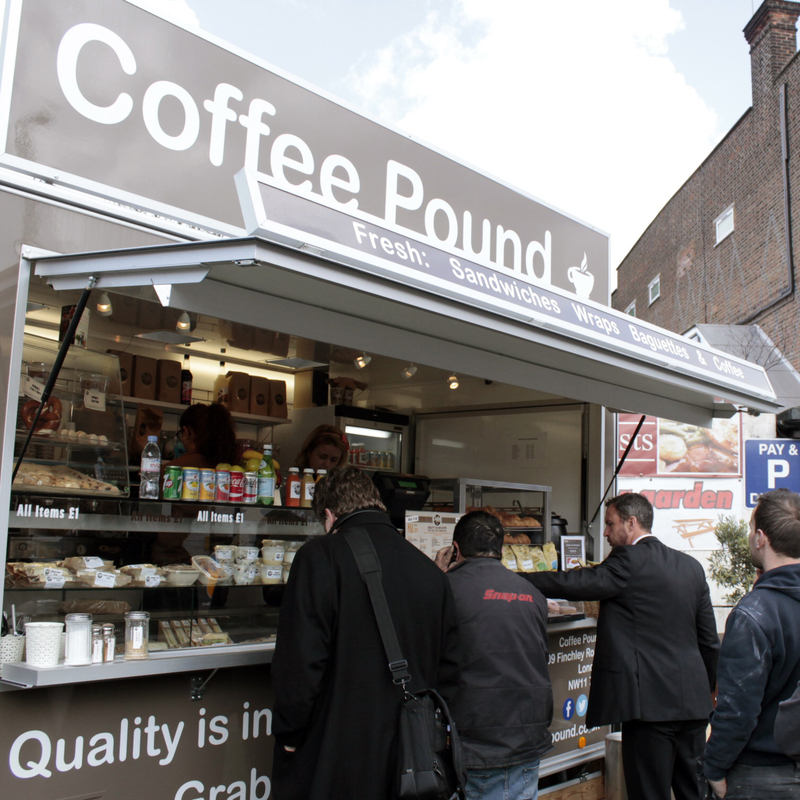 Coffee Pound uses fresh, local and high quality ingredients so that you can Grab ‘n’ Go and enjoy your pre-packaged meal. Everything that Coffee Pound sources ranging from the coffee beans to the wheat to the fruits and vegetables, reaches our customers in the least possible time, subject to our precise quality assurance standards. High quality is a pre-requisite for Coffee Pound. As a result, the managers and employees are trained to source only the freshest of local ingredients. Each product is prepared to the highest quality. Coffee Pound’s careful processes ensure that every customer receives the freshest, highest-quality product every-day without the inflated value. All of Coffee Pound’s Baked goods are freshly cooked onsite every day. Fresh vegetables and fruits are delivered daily and meticulously cut and prepared to ensure a consistent bite and taste. It was important for us to find the perfect flavor for the local market and as a result, we spent several months ensuring the correct taste was unearthed. Our blend was developed and created specifically for Coffee Pound. We found that the ratio of 70% prized Arabica, 30% Robusta created a sweet and balanced coffee taste. Our coffee has good body and is very delicate and smooth in the cup. It features a soft and pleasant aroma as well as a delicate after taste. 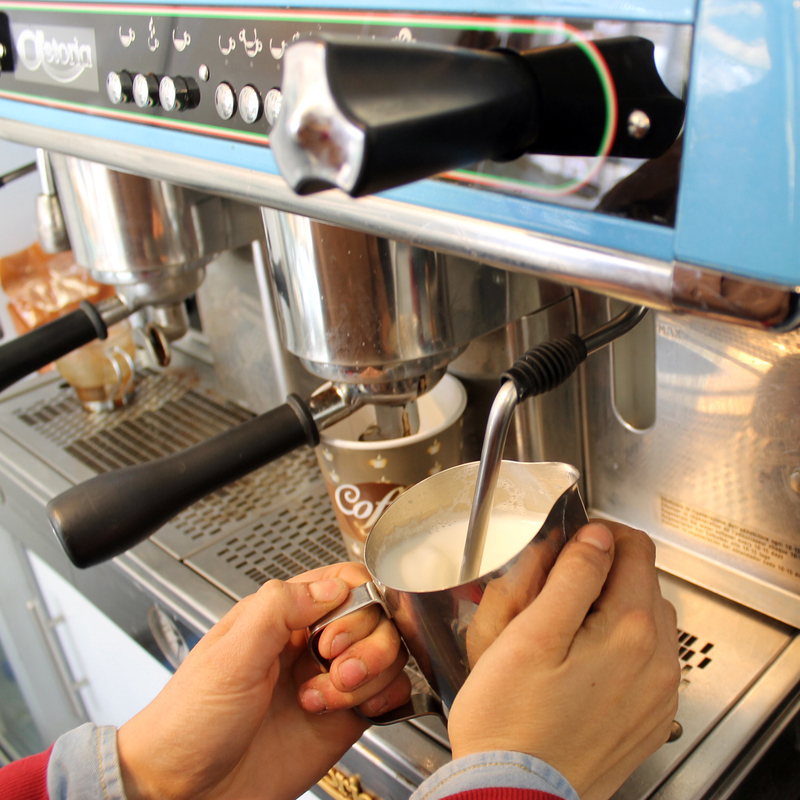 Acidity – Is the freshness felt on the underside of the tongue as well as the mouth when tasting high-quality coffee. The tastes differ from being weak, sharp, flat or delicate. It is the most powerful component in creating the flavor of coffee. The composition and the amount of natural acids present in the coffee bean determine the acidity particularly in Arabica coffee. Aroma – Try and distinguish between the different nutty and fruity scents buy bringing up the beverage up close to your nose. Inhale deeply and let those scents takeover your senses. Body – Body refers to the flavor or weight. The body of the bean remains in your mouth after sipping coffee. Body is usually described as rich or lacking, thin or full, flat, light, medium, or heavy. Flavor – The range of flavors found in coffee is often described with such terms as piquant, wine-flavored, chocolaty, sweet or acidic. After taste – The taste of the coffee, which remains in your mouth after drinking coffee. At the heart of Coffee Pound’s values you will find: the importance of sourcing superior coffee beans, high quality fresh food prepared daily in our kitchen, fixed prices, enthusiastic service and most importantly, value for money. In addition, we set ourselves high health and safety standards as well as promote sustainability and social responsibility. Coffee Pound is at your service, so that you can get to know us, and our products. It is important to us that you’ll stay in touch and give us your feedback so that we can continue to improve our service.